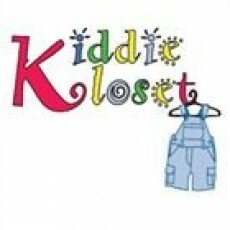 We are a gently used and new children's clothing store. Sizes Preemie, Newborn-14 in both boys and girls. We buy your quality infant and children's clothing, toys and furnishings. Clothing must be freshly laundered and folded neatly in carry bags with handles only. Please do not drop off clothing in trashbags, totes or paperbags. When accepting drop offs, there is a limit of 2 carry bags at a time (limited to 50 pieces- 2 pc sets will count as one). We will not purchase any clothing with rips, tears, stains, missing or broken buttons/zippers or out dated (less than 3 years old). We will not purchase any items that are balled, pilled or wrinkled, that have a smoke or pet odors or hairs on them. We also do not purchase items that we are overstocked on. Please ask for a copy of our Buying Policy. We also purchase furnishings and toys: must be clean, working with batteries (if needed), and with instruction manuals. We no longer purchase cribs, bathtubs and extra car seat bases without the seats. When opting for cash we pay you 40% of whatever we are going to sell the items for. When opting for store credit, the same rules apply as case but in addition to the 40% you will receive an additional 15%.